... a plausible interpretation of his words foreshadows a dramatic end-of-term action: a grant of clemency to some or all of the 62 condemned federal prisoners. It is a step that has been taken at the state level in recent decades by a half-dozen governors but never by a U.S. president. ... by commuting federal prisoners’ sentences to life without the possibility of parole, Obama would stamp the issue as part of his legacy and take a bold action that no successor could overturn. Were it Lyndon Johnson, or John F. Kennedy, that would be one thing. But this is Barack Obama, one of the most notoriously merciless presidents in American history, the president who has probably said more about clemency and actually done less than any other. Egelko seems to take the position that extending clemency to persons on federal death row would be politically safe (because, as an issue, it has "less juice") and is, thus, a kind of no-brainer. 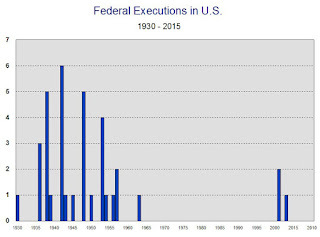 To be sure, the status of the death penalty - at the federal level - has been ambiguous for some time. 62 people sit on "death row" but the last time anyone was executed was 12 years ago, in 2003. No one was executed in 2002. Two persons were executed in 2001, after a 38 year hiatus. 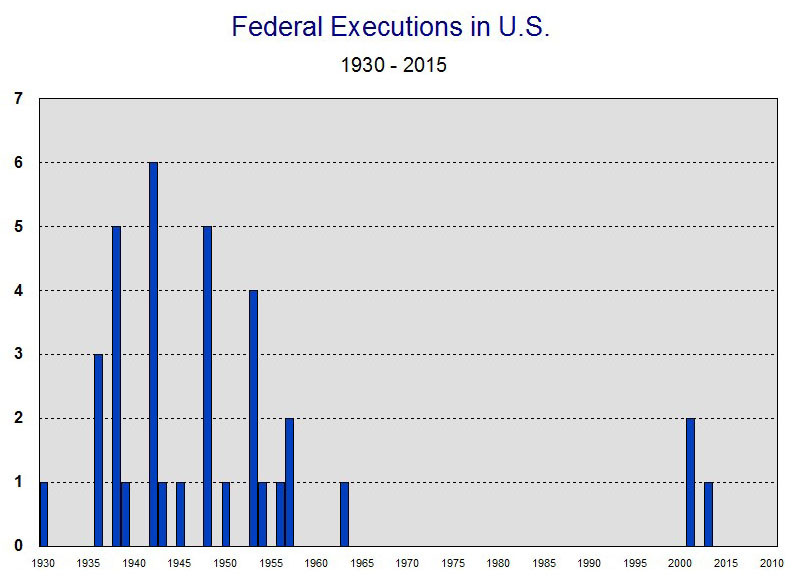 So, there have been 3 executions in the last half century. Makes perfect sense that there is little statistical evidence the death penalty is a deterrent. But here is why we should be cautious about over-interpreting Obama's talk - on this front - as some kind of an indicator of action (significant or otherwise): he already has a less juicy, politically safe, clemency front ripe for action. And he is almost completely AWOL. It is called the pardon power. For seven years, despite all of the talk about "hope and change" and "second chances," Obama has granted precious few pardons, 64. Even George W. Bush, whose record on pardons was sickening, granted 184. Bill Clinton, whose pardon record was a disaster, granted almost 400, as did Ronald Reagan before him. 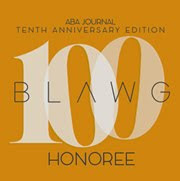 While all of the chatter focuses on commutations of sentence, Obama could be granting pardons to people who committed minor (almost always non-violent) offenses, years (if not decades) ago, who served their time (if they were even given prison sentences) and have been law-abiding, productive members of society ever since - as documented by FBI background checks. They are not asking to be released from prison. They just want their civil rights restored. Obama could be passing out such pardons like candy, by the hundreds. The political risk is just about zero. Chances are, even readers of this blog cannot name three people pardoned by any of the last five presidents - who granted 1,586 pardons. In sum, an opportunity for significant, just executive decision making plus lack of any significant political risk does not an Obama action make. See full story here.